The Context of White Supremacy welcomes Dr. William Smith. An Associate Professor Ethnic Studies and Education, Culture & Society at the University of Utah, Dr. Smith’s concept of Racial Battle Fatigue was awarded a Ford Foundation Postdoctoral Research Fellowship. 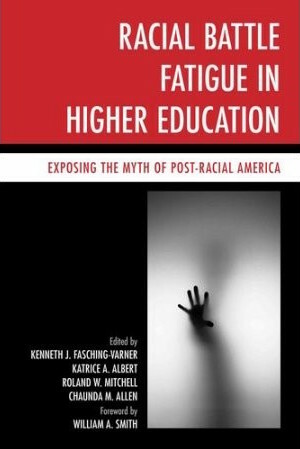 The theory explains how the social environment perpetuates White Supremacy stressors that adversely affect the health and academic achievement of non-white students and faculty . We’ll discuss strategies for coping with the ongoing aggression of White Supremacy. As Dr. Williams resides in Utah, we’ll get his take on the stunning results of last week’s presidential election. President-elect Donald J. Trump was projected to lost the race and the state of Utah. He won both. It was alleged that many Mormons would not endorse Trump’s brand of Republican politics. We’ll ask if Dr. Smith was surprised that so many White Utahans helped hand Trump the White House. Previous Previous post: Today’s Entrepreneur – What is House 2 House Breakfast Lunch and Dinner?